NEW DELHI: Rahul Gandhi cited the Nano small car project in Gujarat to slam PM Modi’s ‘Make in India’ initiative and asked who was responsible for `33,000 crore taxpayers’ money going down the drain. “PM’s pet “Make in India” project just died. 33,000 crores of Gujarati taxpayer money turned to ash. 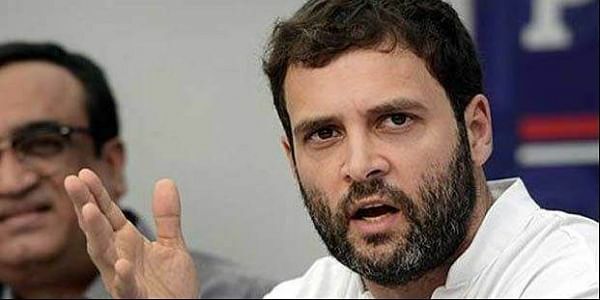 Who is accountable?” Rahul tweeted, citing media reports that dealers had stopped placing orders for Tata Nano. The Congress Vice-president, who is currently campaigning in Gujarat, has repeatedly cited the example of Tata Nano to drive home the point that Modi’s development agenda was to benefit big industries. “The UPA gave Rs 30,000 crore for MGNREGA. Modiji gave the same amount of money to one company,” Rahul said, wondering if the mega-project provided jobs to the locals, as promised. “I have not seen a single Nano car on the road. Did you get any benefit from the factory? Did you drive a Tata Nano? Do you have a small car at home? Did your children get jobs at the factory?” Rahul said in an obvious attempt to puncture Modi’s pro-development credentials. The dwindling production of Nano has provided Rahul the perfect opportunity to present himself as a champion of the poor.